Ban Heng Group is proud to have hosted hundreds of weddings, banquets and dinners for numerous guests and organisations, including former President Nathan and the dinner-dances of the PSA and the Red Cross. 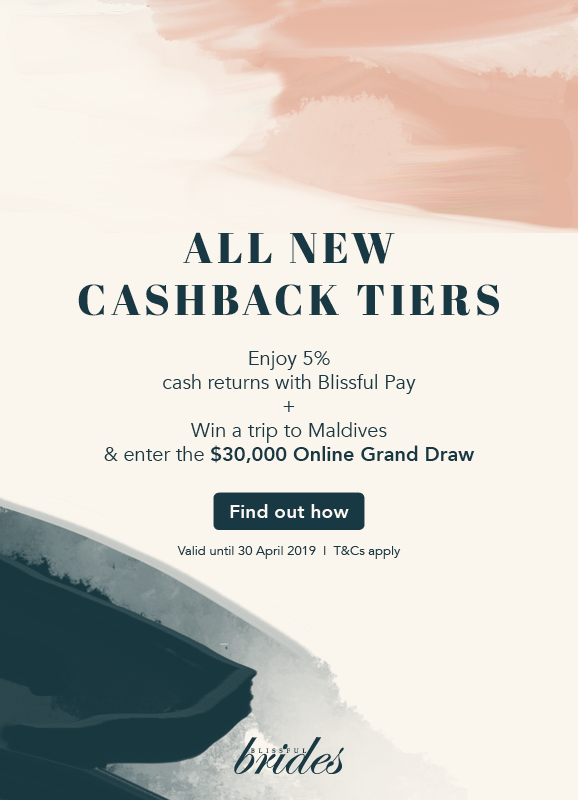 With our decades of experience, you can be ensured of a resounding success. Theme weddings with Ban Heng never disappoint. Discerning couples get to realise their dream wedding, be it an elegant and glamorous ballroom at HarbourFront Centre, romantic wedding by the lake at Raffles Country Club, cosy wedding by the pool at Aranda Country Club or intimate rooftop garden wedding at Orchard Central. 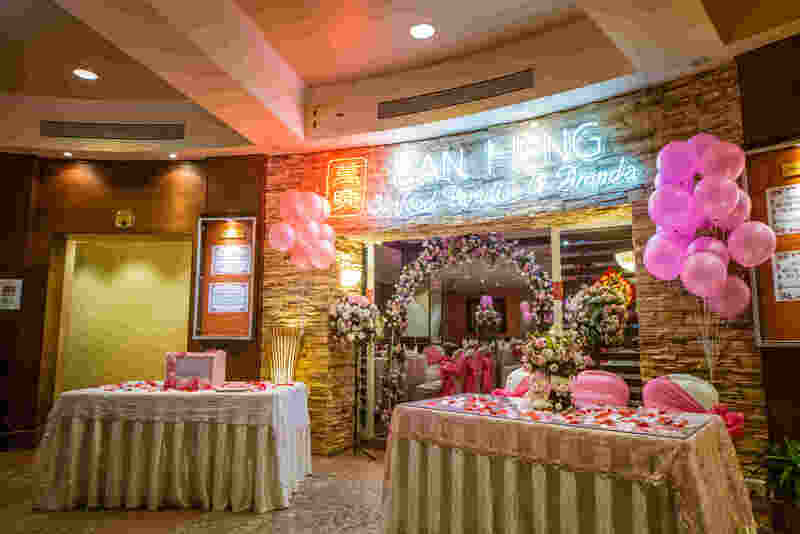 Ban Heng Group of Restaurants has nearly a decade's worth of experience in wedding banquets in all types of styles so you know you are always in good hands. Contact us for a hassle-free wedding event today. Ban Heng @ Harbourfront Centre sits majestically on the 4th floor of HarbourFront Centre, and has the capacity to seat above 1,200 guests (120 tables). The restaurant oversees the Resort World Sentosa and the Resort World's amazing fireworks from the restaurant balcony. The ballroom & VIP rooms are fitted with elegant and glamorous super huge 21 pieces of chandeliers on the 10-meter high ceiling, The ballroom is ready for your wedding, ROM reception, high power executive meeting, social or corporate event of all sizes. Ban Heng @ Orchard Central is a new branch. It is located on the rooftop of Orchard Central which is located at the centre of Orchard Road. The restaurant is specially designed for weddings and D&D functions. It has a big built-in stage with a natural rock-like background and star-lit ceiling which is encircled by a koi pond. The surrounding rooftop garden where our restaurant is located is perfect for a cocktail reception. Ban Heng @ Orchard Central can create that special urban greenery wedding that no other hotel can offer. Ban Heng Restaurant at The Cathay brings modern Teochew and Cantonese cuisine to Singapore. Nested in the heart of Orchard, Ban Heng @ The Cathay offers a team of trained staff to provide top quality dining standards in a stylish yet relaxed atmosphere at an affordable rate. The hotel provides ample parking space and also offers guest rooms should the wedding couple require it. The restaurant's main dining hall is fitted with an oriental décor theme and is able to accommodate up to 23 tables. The central location of Ban Heng @ The Cathay and hotel amenities at close reach creates an ideal place for wedding and business functions. Ban Heng@Pasir Ris is situated in Aranda Country Club beside NTUC Downtown East at Pasir Ris and is open to public. Dine in a grand western-inspired interior amidst the peace of the resort greenery and sea breeze, letting your city stress melt away. 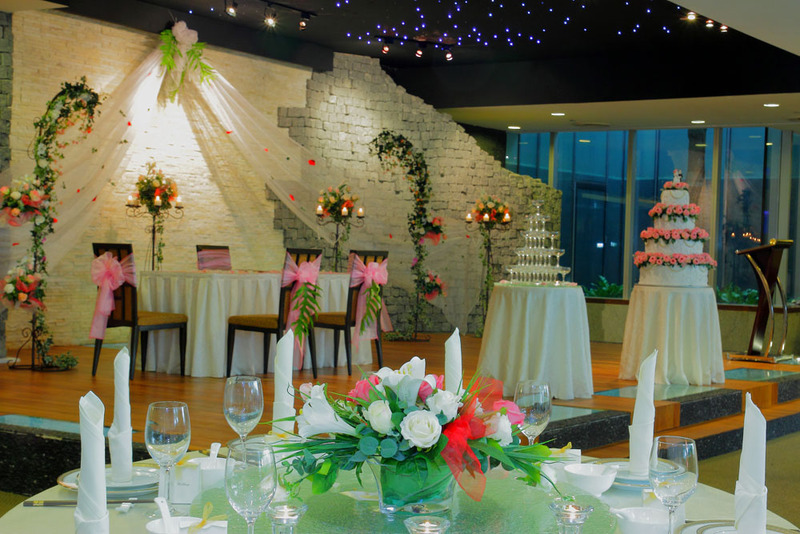 The restaurant dining area can accommodate up to 200 people, and Terrance Garden Hall can take up to 90 people. Poolside weddings can accommodate up to an additional 200 people seating capacity. There are ample parking spaces, and customers are welcome to use NTUC Downtown East's parking facilities. We are from Ban Heng Group of Restaurants in Harbour Front Centre .We have been established since 1970 and are well-known for our expertise in Chinese cuisine. Our restaurant's goal is to listen to your ideas and understand your needs while we create the vision you have in the mind on your prefect day. The restaurant manager here to assist and guide and most importantly be by your side when everything comes together on your wedding day. We understand that this is the most memorable day of your life and should be treated as such. We are from Ban Heng Group of Restaurants at The Cathay .We have been established since 1970 and are well-known for our expertise in Chinese cuisine. Our restaurant's goal is to listen to your ideas and understand your needs while we create the vision you have in the mind on your prefect day. The restaurant manager here to assist and guide and most importantly be by your side when everything comes together on your wedding day. We understand that this is the most memorable day of your life and should be treated as such. 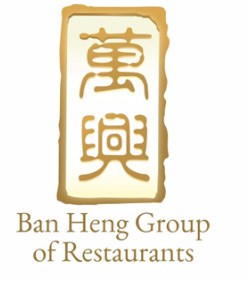 We are from Ban Heng Group of Restaurants in ACC.We have been established since 1970 and are well-known for our expertise in Chinese cuisine. Our restaurant's goal is to listen to your ideas and understand your needs while we create the vision you have in the mind on your prefect day. The restaurant manager here to assist and guide and most importantly be by your side when everything comes together on your wedding day. We understand that this is the most memorable day of your life and should be treated as such.